Volume Bulk Mailing Services | Mail-O-Matic Services Ltd.
Promote your message, product, or service to your loyal customers and new leads with our effective and cost-efficient bulk mailing services. Admail is the convenient method of sending out a high volume of prepared mail at reduced postage rates. It encompasses both addressed admail and unaddressed admail. To take full advantage of time and money savings with bulk mail, it is best to engage a professional mailing house to coordinate your efforts. We act as your liaison to Canada Post by setting up your client account and ensuring that your parcels and mail outs conform to Canada Post specifications regarding mailing sizes, shapes, and weights. 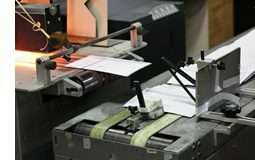 We continually stay up-to-date on all Canadian, U.S., and international postal regulations; therefore, your bulk mailings will be processed effortlessly and at the best possible bulk mailing postage rates. Mail-O-Matic volume bulk mailing services will help you reach the right customers at the right time. Let’s work together to draw their attention and contact you so you can close the sale and grow your business.